McCarran International Airport offers numerous technologies to make your trip more enjoyable, including free Wi-Fi, mobile check-in, self-service kiosks and bag tagging, and CLEAR pre-security check. Read on for more. Stay connected on the go with fast, free Wi-Fi throughout all public areas of McCarran, including the Rent-A-Car Center. Check in online and use your mobile device as a digital boarding pass. If you’re not checking luggage, skip the lines at Ticketing/Check-In and go straight to security and on to your gate. Contact your airline for more information. 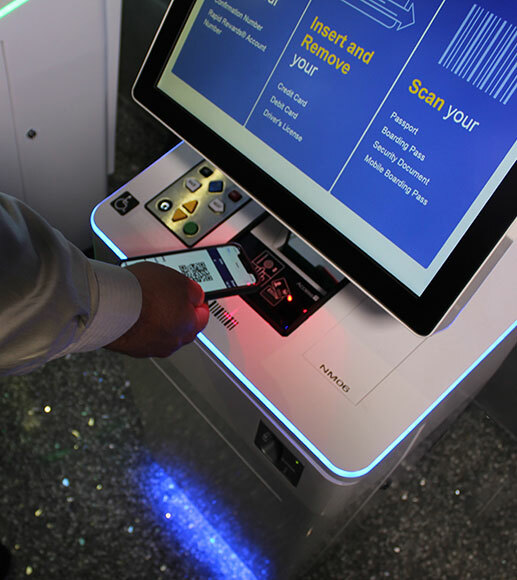 For your convenience, self-service kiosks are available for check-in. 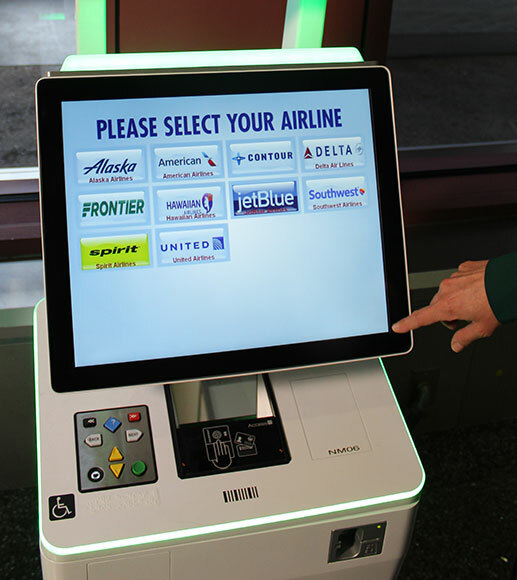 The touchscreen kiosks are easy to use and can speed your departure by giving you control over the check-in process. All of the kiosks are ADA compliant. 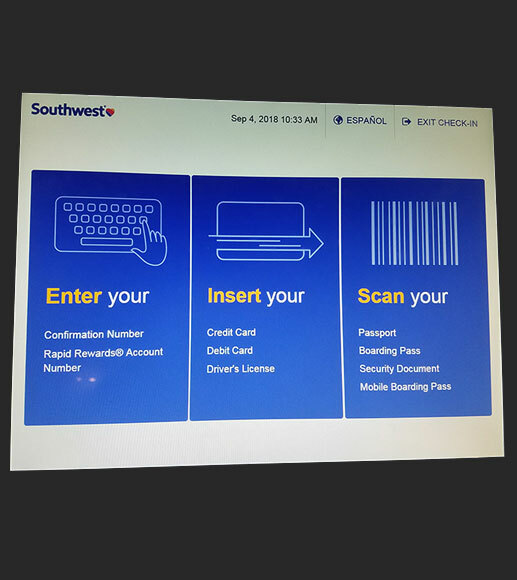 Step 1: Using the touch screen menu, select an airline from a list of participating carriers. Step 2: Select the method by which you will retrieve your airline reservation. Step 3: Once the airline’s reservation system displays, insert a credit card or driver’s license or scan your passport or boarding pass, then follow the step-by-step instructions to complete your airline’s check-in process. 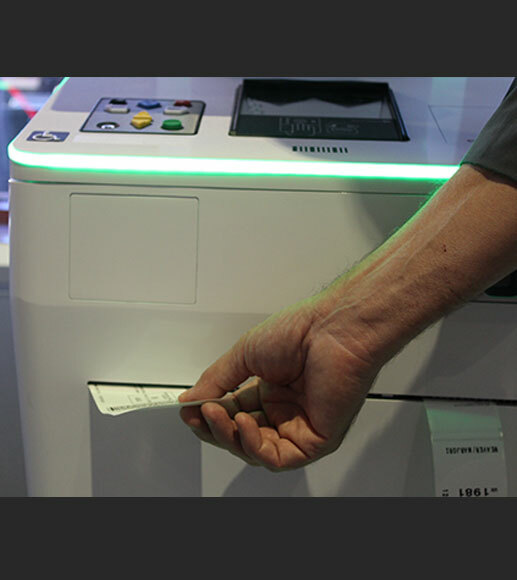 Step 4: The machine will print a boarding pass. Take the boarding pass and proceed to the security checkpoint if you do not have checked luggage. If you have checked luggage, stop by the ticket counter or use the self-tagging option if available. 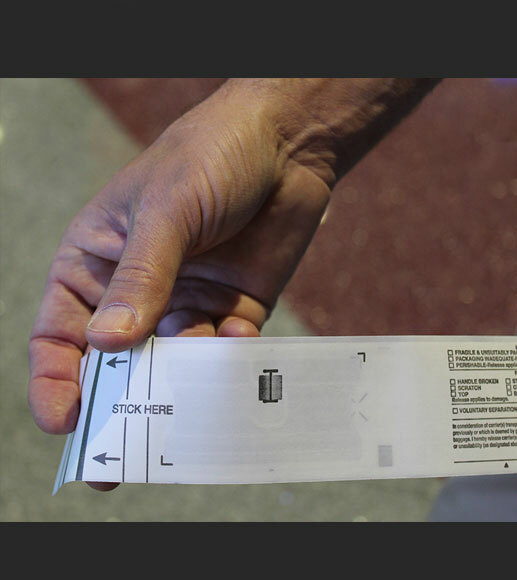 The self-tagging option on our check-in kiosks allows passengers to check and tag their own bags. 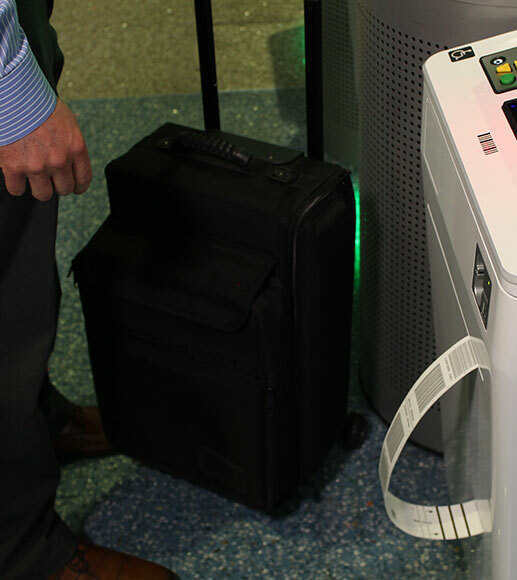 McCarran uses a technologically advanced Radio-frequency identification system to provide secure tracking of your checked bags. Check with your airline for self-tagging availability. Step 1: After checking in, select the baggage tagging option on the screen. 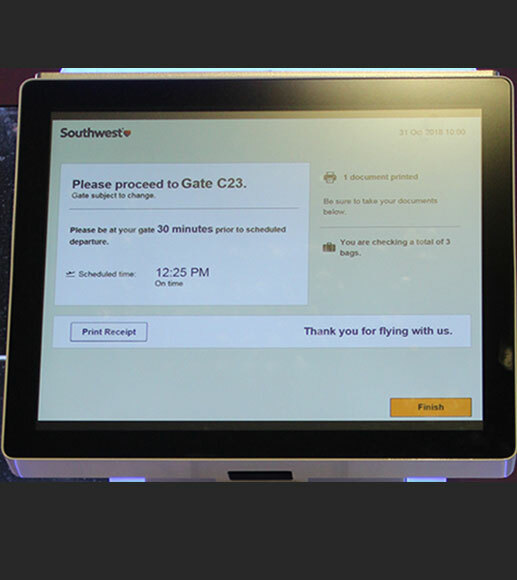 Select the number of bags you are checking in and continue to follow the step-by-step instructions on the screen. Step 2: Print your bag tag(s). 3: Take the tag and follow the instructions to apply to your bag. 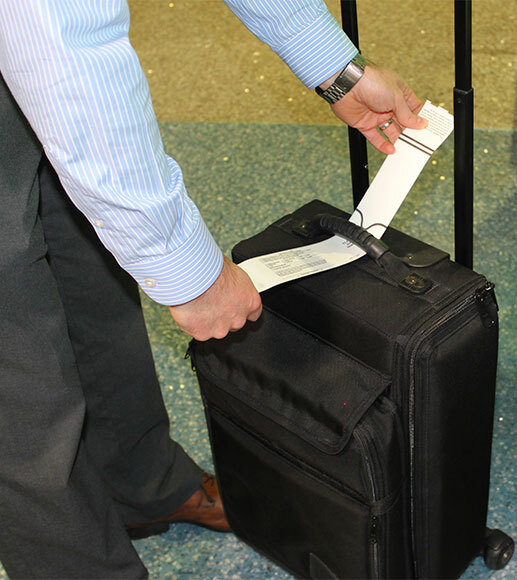 Step 4: After you tag your bag, take it to your airline’s bag drop area to leave it with an attendant.